Sophia Hampton, Breaunna Rose, and Makala Stambaugh represented Jenkins Middle High School at the Cedar Coal Project at the UPIKE Campus on March 21, 2019. 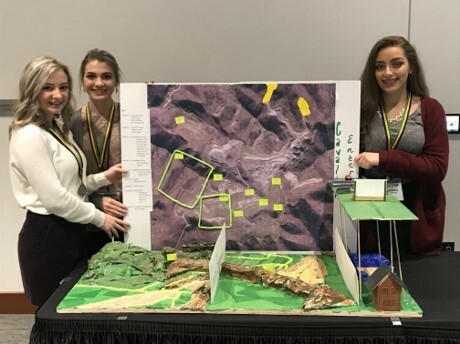 During this 7 month project, the students chose a site, met with mining experts, had site visits, developed a business plan, incorporated classroom assistance from other students, built a site model, and prepared a speech and presentation. Jenkins students placed in the top 10 out of 163 schools participating. You can see the students' project HERE.